Great coverage of our WIPO campaign from the BBC – Tuesday 20th June, BBC Radio Five Live, Howard Benson interview. – it will be available for the next seven days. This is a petition to the World Intellectual Property organization (WIPO) regarding the Broadcast Treaty as it affects podcasting and podcasters. This treaty as it stands gives broadcasters (not creators or copyright holders) the right to tie up the use of audiovisual material for 50 years after broadcasting it, even if the programs are in the public domain, Creative Commons licensed, or not copyrightable. We consider this to be an infringement of the right of the originator of a work to determine its form of licence, future usage and copyright status. Further, the extension of the Broadcast Treaty to include Podcasting does not take into account the many forms of the new medium of podcasting which do not correspond to broadcast models. We uphold our right to be different from broadcasting and therefore subject to legislation which takes these differences into account. – Creative Commons licences, GPU licences, “free forever” licences (in whatever form) are legitimate and must be upheld in perpetuity. The issues re: the Broadcast Treaty are laid out here. This treaty as it stands gives broadcasters (not creators or copyright holders) the right to tie up the use of audiovisual material for 50 years after broadcasting it, even if the programs are in the public domain, Creative Commons licensed, or not copyrightable. We consider this to be an infringement of the right of the originator of a work to determine its form of licence, future usage and copyright status. Further, the extension of the Broadcast Treaty to include Podcasting does not take into account the many forms of the new medium of podcasting which do not correspond to broadcast models. We uphold our right to be different from broadcasting and therefore subject to legislation which takes these differences into account. Glyn Wintle from the Open Rights Group sent me this link about the WIPO plans to regulate podcasting in Barcalona on June 21st. This treaty gives broadcasters (not creators or copyright holders) the right to tie up the use of audiovisual material for 50 years after broadcasting it, even if the programs are in the public domain, Creative Commons licensed, or not copyrightable. This alternative UKPA graphic has been provided by Mark. The UK Podcasters Association met Tuesday 30th May with the MCPS-PRS Music Alliance, the two principal UK music licensing and royalty collection agencies at their Berners Street offices. The objectives of the meeting were to establish working contact, indicate the important differences between UK podcasting activities and formats and broadcast, discuss access to the licensed music catalogue to which they act as gate-keepers, and to give direct feedback on their podcast music licence. The meeting was a fair and frank exchange of views conducted in a friendly and supportive way by both groups. UKPA is greatly concerned by the imposition of format restrictions applying to all podcasters who pay for the licence, and the results of the Podcast Nation poll on this hot topic were presented to and welcomed by the Music Alliance as valuable feedback. UKPA’s view was that imposing restrictive controls developed from the broadcast media model, rather than taking a new sheet of paper for a new entertainment and business model, was preventing take-up of the license as in its current draft, and the MCPS-PRS podcasting licence could inhibit the development of new content formats and stifle a nascent industry. 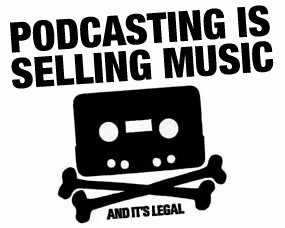 The Music Allianceâ€™s podcast licence was initially released in March 2006 and, because of a number of vague and imprecise clauses contained within it, appeared to be attempting to set up a licensing scheme for all podcasts, including podsafe and speech-only podcasts. This was later withdrawn by the MA, but a large proportion of the 300 or so independent UK podcast producers remained concerned that in order to play the mainstream music the Music Alliance control, they were being forced into adopting a set of â€œrulesâ€ controlling the way they create, adapt and release their content and this proved to be the rallying cry that launched the first UK representative body for podcasters. Taking scales of economy into account is also an issue. Since its inception, the cost of the licence has risen from Â£200 pa to Â£400 pa, and the licence has expanded from 2 to 30 pages which may now mean the independent podcaster has to take legal advice which will add several hundred pounds to the licence cost. As commercial broadcasters who benefit from advertising revenue move into the medium, there is a real danger that the small percentage (estimated 20%) of would-be commercial independent podcasters who might wish to play MA-licensed content could be priced out of the market. The MCPS-PRS was firm in its view that the record labels were the ultimate gate-keepers to the content and their concerns needed to be addressed. It was agreed that there is an educative role for the UKPA to explain to publishers and record companies that podcasting is not file sharing â€“ podcasters are program-makers – and opportunities to explain the differences will be sought. The advantages of including MA-licensed repertoire within podcasting were laid out, and UKPA accepted the great benefit of a one-stop licensing shop which removes the need to negotiate with multiple content owners. On the other hand, the huge influx of artists self-licensing their work into â€œpodsafeâ€ podcasts was potentially fuelling an alternative to existing rights organisations. Podcasting actually boosts sales of licensed music. Before the vast majority of podcasters went â€œpodsafeâ€ some played licensed music and the bands played noted spikes in sales on service such as iTunes. â€œBands which might never have got a record deal are now generating sales and significant income from plays on â€œpodsafeâ€ podcasts which tell the listener where to buy the music â€“ direct from the band and cutting the middle man (the record company) out of the loop completely,â€ said Paul Parkinson. Discussed at some length were the anomalies which the widely-adopted Creative Commons licenses bring to the exclusive nature of MCPS-PRS licence schemes, MySpace, and other artist-driven variants of online music, and the difficulties in establishing an effective global scheme, which is currently being researched by the MA. Marla Shapiro reported that the MA were planning to release a General Entertainment on Demand scheme later this year. UKPA presented the case for podcasting as a medium in itself, establishing the major differences between the original programmed content of the majority of UK podcasters and radio stations re-purposing broadcast content. Podcasting started with individuals creating fresh and exciting content breaking the mould of the stale audio and video formats. Podcasting now has been seized upon by broadcast radio as a way of regurgitating their shows on a time-shift basis. In 2006 independent UK podcasts deliver in multiple media to hundreds of thousands of listeners in more than 100 countries. Independent UK podcasters have invented new styles of content, provided very specialised niche shows (knitting, anyone?) through to mass appeal shows covering technology, soccer, parenting, and of course, music. UKPA requested recognition in the licensing scheme of individuals, small groups, communities and small-to-medium sized businesses who were now using and creating successful podcasts using different commercial models to those that applied to established traditional businesses. The Music Alliance accepted the need to distinguish between the small-scale, amateur enthusiast â€œbedroomâ€ podcasters, new podcast businesses, and the commercial broadcastersâ€™ use of the medium, but it was also clear that they had not seen very much hard data on UK podcasting from UK podcasters. It was agreed that working contact would be established between the two organisations on this basis. Representing the UKPA was Dean Whitbread. Businesses who are also UKPA members were represented in the room by Paul Parkinson from Podcast User Magazine, Paul Pinfield from Pinnacle Media, and Mark Crook from Funk. Also present were Ben Brassington from Harbottle and Lewis, and Louise Ferguson from the Open Rights group. This group met with Jez Bell, Online Director, Marla Shapiro, Broadcast and Online Projects Director, and Chris Morrison, Online Licensing Manager. Download a press release PDF document.